In 2016, Pennsylvania approved the use of medical marijuana in patients with certain conditions. The Medical Marijuana Program, which is expected to be implemented in early 2018, will allow patients with qualifying medical conditions access to this remedy. This treatment can provide symptom relief for people living with certain serious or chronic conditions. For example, nearly 25 percent of cancer patients in Washington State, where the treatment is legal, have used medical marijuana in the last year and 74 percent of cancer patients would like to know more about the treatment from their medical providers, according to a study in the journal Cancer. Qualifying patients can include those under age 18. The Pennsylvania Departments of Health and Education will permit those students to take medical marijuana on school premises, provided it’s administered by a parent or legal guardian or caregiver. The student must provide a Safe Harbor Letter that notifies the principal in advance. Other requirements apply, so review the State’s information for Patients and Caregivers. Once they obtain a physician’s certification, the patient must apply for a medical marijuana identification card and submit an application fee. Patients under age 18 can obtain the prescription through a qualified caregiver, who must also go through an application process. The State is still developing the process for applying and will make an announcement when it’s available to patients and caregivers. Currently, the State makes no distinction between illicit and medical marijuana for DUI assessment purposes. An officer can charge a medical marijuana patient with DUI if that person shows signs of impairment and/or tests positive for the drug’s metabolites in a blood test. Impaired driving puts your safety—and that of others—at risk. And a conviction will significantly impact your life, from costly fines to loss of license. Learn more about prescription drugs and DUIs in Lancaster County. Protect your rights if you’ve been charged with a prescription-related DUI. 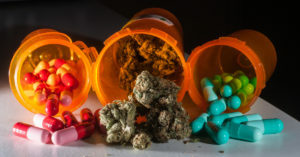 If you’ve been charged with a DUI related to a prescribed drug, like medical marijuana, it’s essential to work with a lawyer with the extensive experience and current knowledge to handle your case properly. Attorney Mark Walmer will help. Get in touch for a no-cost consultation.